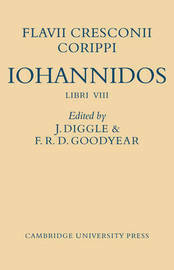 The Iohannis, an epic poem of the mid-sixth century, narrates the wars of a Roman general against Berber rebels in north Africa. The subject-matter is of considerable interest both for the history of the period and for what it reveals of the ethnography of north Africa in late antiquity. The poem is also of literary interest because of its numerous debts to earlier Latin poetry. It is in the establishment of a reliable text, however, in the field emendatio, that the importance of this 1970 edition lies. 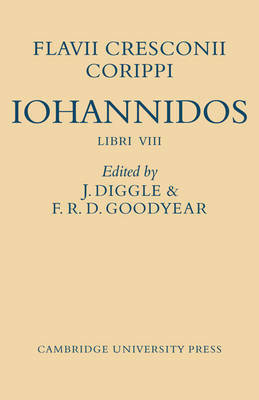 The editors have purged the text so far as possible from error; and in their numerous conjectures they have had to decide what abnormalities should be ascribed to the changed Latinity of the age, what to scribal error. The apparatus is thus full of imaginative and scholarly touches: it can be approached as a 'bank' of ideas and suggestions for scholars of late Latin. There are a short praefatio on the history of the text and the usual indexes.